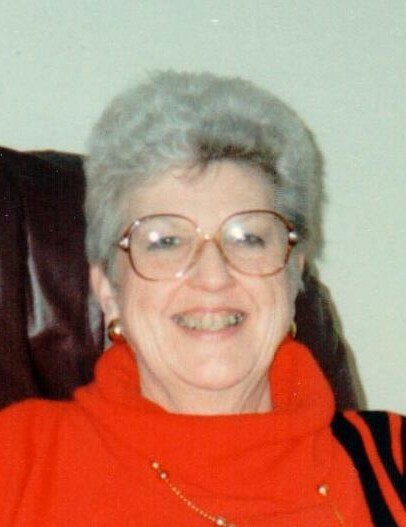 Monna L. Wieland, 96, of the Lebanon Valley Home, Annville, passed away Wednesday, April 10, 2019. Born July 14, 1922 in Lebanon, she was the daughter of the late John G. and Ruth L. (Guyer) Wieland and also preceded in death by her brother Kenneth Wieland and nephew John G. Wieland. A 1940 graduate of Palmyra High School, she received her bachelor’s degree of Art Education and English Literature from Penn State University in 1943. She was a retired art teacher from the Palmyra Area School District and member of the Art Honorary Society, Beta Mu Chapter of Phi Mu and the Penn State Alumni Association. A member of Trinity United Church of Christ, Palmyra, she was a longtime member of the choir, and Women’s Guild, chaired a booth at the Annual Bazaar, served a short time on consistory and taught Sunday School. Monna volunteered at the Hershey Medical Center and Hershey Museum and was a life member of PSEA and Lebco PASR. Her other memberships include Palmyra Senior Citizens, Red Foxy Ladies, Trinity Renewal Group, Roadrunners Travel Group, Friends of Animal Society and the World Wildlife Fund. Surviving are her niece Kathleen L. Wieland; nephew George K. Wieland; great nieces Tiffany A. Jones, Carly R. Grumbine, Ashley E. Rotunda, Elaina N. Dawes and Heather Breen; great nephews John M. Wieland, David C. Wieland and Charles G. Wieland; and nine great great nieces and nephews. A funeral will be held 11:00 AM Wednesday, April 17, 2019 at Buse Funeral Home, 145 North Grant Street, Palmyra preceded by a viewing beginning at 10:00 AM. Interment will be in Gravel Hill Cemetery, Palmyra. In lieu of flowers, contributions may be made to her church, 40 West Pine Street, Palmyra, PA 17078.